There is a weird analysis look in your Mondrian's Pivot table and you suspect that there may be something wrong in your Schema but where ? 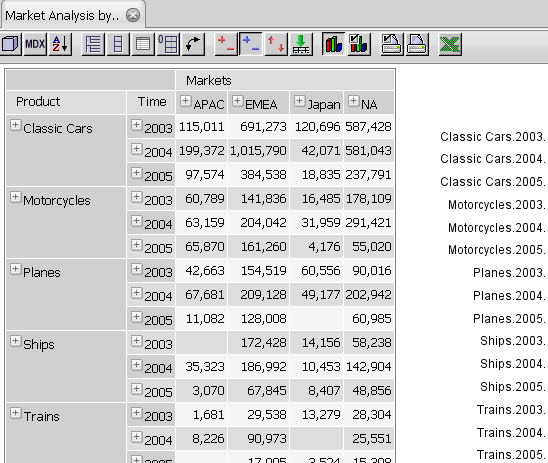 One and maybe the best way to trace it is to look at the detail of SQL queries generated by Mondrian / Pentaho Analysis. So here's how to do it. 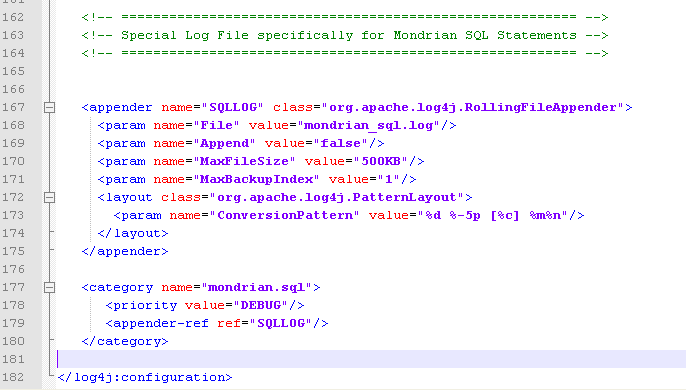 Remove any remark / comment surrounding SQLLOG appender. You can find it near the end of log4.xml file. Open [BI-SERVER]\tomcat\bin\pentaho.log file. You can now see SQL generated by executing a related MDX query.